Working as full time general dentist my ‘ultimam metam’ was to try and replicate the work of the very best teachers in the world in to my daily practice. I learned very quickly that to achieve the resin artistry of Aoshima; the biomimetic mastery of Magne and the prosthetic skills of Smithson it would take a great deal of trial and error, but they say if your ambitions do not unnerve you then they are not big enough. 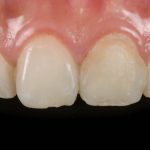 Dentistry has moved towards a minimally invasive pathway over the past years due in part to new technology and techniques allowing the modern dentist to produce the ideal functional and aesthetic result whilst preserving as much tooth structure as possible. It is well believed that more tooth structure retained during preparations will give the tooth a better long term prognosis and that we must prepare patients for eventual failure, i.e. it is better to deal with a small failure (like an onlay fracture) than a catastrophic root fracture from a heavily prepared post core crown. The questions remain, what is deemed an acceptable failure, what are the limits and how much preparation does one need where long-term function is achieved whilst retaining acceptable aesthetics. In daily practice this constant tumultuous discussion automatically goes through my mind for every case: and that is why dentistry is so challenging and rewarding at the same time. Recently I have been trying to find a harmony between classic time-honoured Shillingburg prosthodontic principles with novel minimal parametric preparations. This constant daily juxtaposition involves very careful treatment planning, occlusal analysis and material selection. What works well in one practitioner’s hand may not be quite as successful for another and vice versa; therefore logically one should develop their skills as best as possible and play to their strengths. 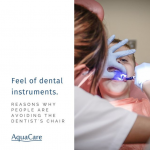 The aim of this article is to show that in many daily scenarios teeth can be conservatively treated; and where reduction or preparation is needed it must be done as accurately and conscientiously as possible. The use of high magnification, correct bonding protocols, appropriate material selection and micro abrasion allow us to achieve this. This 54yr old patient wanted little to no tooth preparation done to cover up the developmental pits and discolourations. No drilling and with just the use of 29 micron alumina (aquacare) to remove staining and prepare surface for direct bonding. Direct composite bonding used to restore and create natural and functional smile. Shows a large fractured amalgam restoration on a first molar. After tooth preparation [29μ aluminium oxide and Sylc] and immediate dentine sealing. Gold onlay placed to allow maximum long-term strength and function. [29μ aluminum oxide and Sylc]. Photograph after immediate cementation of lithium disilicate onlay. Occlusal view showing biomimetic integration. Cavity preparation after abrasion (53μ aluminium oxide) on lower first molar, post root canal therapy. Cavity restored provisionally with direct fiber reinforced composite.